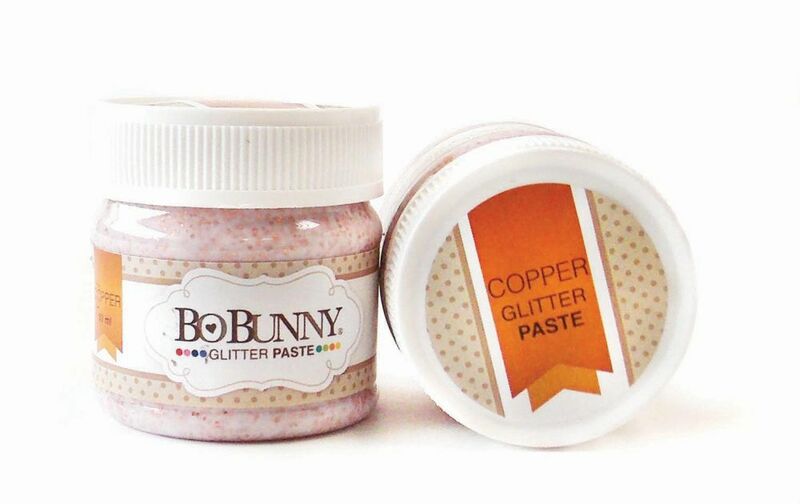 Add some shimmer to your project with Bo Bunny's glitter paste, available in ten colors, each sold separately. Glimmering surfaces can be created with this special paste containing iridescent laser glitters. The pastes are to be applied using a brush or spatula to the surface to be decorated, they are easy to apply with stencils. The carrier dries transparent, therefore these are excellent for emphasizing the patterns of decorated surfaces. This package contains one 50ml glitter paste jar.